Interstellar is a movie you will glue to the seat and eye stick on the big screen. Do you believe there is higher power put the black hole there ?? An incredible science fiction, apocalyptic, rocket science, funny and trust issue new designed robot, black hole, new galaxy, love, girl instinct, crying, happy and many more. A black hole was formed at close distance to the earth. Scientist believes that black hole is rarely making appearance and it did not show up at a random place just like that. 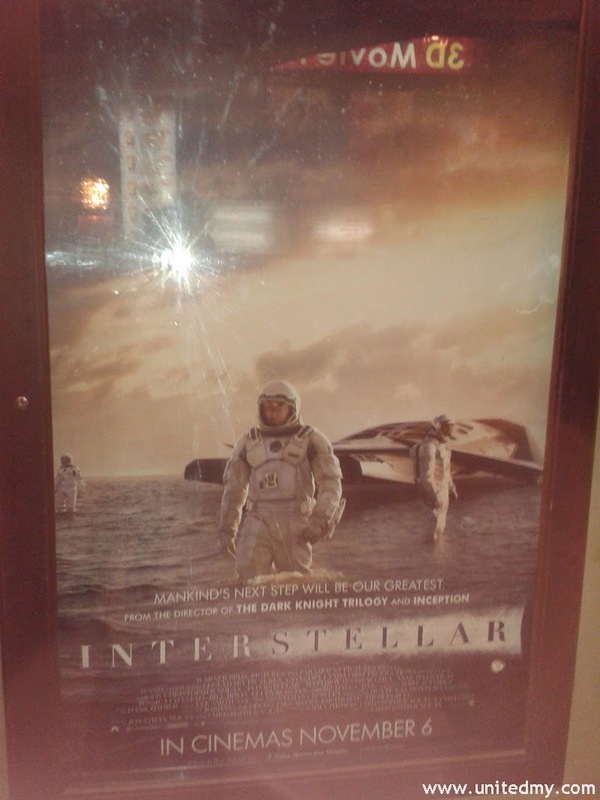 It is a daring science fiction movie by director Christopher Nolan with many new science elements in it. It will explode your mind with too many unknown exciting, intriguing science terms. Those who always skip science classes should have not understand some parts of the movie I admit that. Copper the well-educated and an engineer believing the moon landing is a true and he was working for NASA at that time till no funding by the government forced to close down due to pressure from the people that NASA or outer space research were not the real concern anymore. Meanwhile, the school teacher disagreed with him saying that the moon landing was a fake news meant to bankrupt the Soviet, when they received news about US successfully landed on moon, they will move all the country resources to build a spaceship that can fly to the moon. Imagine one day the world is facing food crisis and educated persons were submitted to the agricultural industry instead of other field because job was scarce. In order to keep pace with food demand, Copper becomes an overqualified farmer. His talent seem to have inspired his daughter and his work inspired his son. Copper's belief human are pioneer and explorer and earth is rejecting human. That human has all the resources and power to find another galaxy for a better living. The nature is not cruel or too good to human species. One day, earth will be burned out too. Although we may seem animal break wide open its prey, it all a normal cycle of nature. The dying earth but not human faith. Copper's daughter, Murphy. She did not like her name very much. She soon discovered something wrong in her room. Refusing to let her father to take a risky mission. The time relativity in this movie is pretty awesome. Copper's age is very much same with Murphy because Copper went to a different galaxy where timeline is slower than the earth. Murphy eventually became same age as her father. Cooper expedition was a unbelievable journey. Imagine there is a technology where ship could withstand the force of black hole. I though no one ever escape from black hole gravity pull ?? Christopher Nolan borrowed the theory of another movie that black hole is a portal that can be pass through for a far galaxy ahead of us which we cant reach in a very short time. His mission is to retrieve data from 3 scientists who sent out to a far galaxy. First, he will need to pilot the spacecraft heading to the black hole. In a first attempt rescuing the first scientist after crossing the black hole, Cooper challenge is landing safely in one piece the new planet covered with vast water and there seem to be no land. Unprepared and unexpectedly, a big wave is sweeping on its way to them described as tall as the tallest building of the world. The cost of this expedition is one of the scientist sacrificed. They did not managed to rescue the scientist nor the important scientific data that cost them a decade of research. Without further delay, they continues the expedition. When Copper and Dr Brand arrived to Endurance. This is where a new science term "Time relativity" strongly explained. One hour spent is 7 years at earth time. By the time they arrived Endurance, they spent 3and half hours which translated as 24 years in earth time. This is when Cooper's age is in the same as his daughter and son. Physical appearance of his daughter and son changed tremendously after Cooper opened the replay clips stored for 24 years. Dr Mann is the second scientist Cooper visited. He made a big mistake waking up Dr Mann because he is a real bad guy talking about saving humanity but all his action was a selfish trying to rescue himself so much for a brightest and brilliant no 1 NASA scientist. Dr Mann received his ultimate defeat by not listening to Cooper that costs his life opening Endurance hatch without properly attached. Cooper is an amazing space pilot he successfully maneuver the spaceship docking at an on-going high-speed spinning's ship called "Endurance". There is some incredible and strong scenes in it. There were many cry-making scenes in this movie. Firstly, Cooper left his daughter, Second, Cooper watching the replay stored for 24 years. Third, Professor Brand's lie and dying scenes. Fourth, Cooper pulled away the ship in order to make way for Dr Brand or Amelia to the Edmund planet. Lastly, I think it pretty emotional when Cooper is able to watch his grown old daughter in hospital. The most exaggerated plot in this movie when Cooper arrived the fifth dimension where Cooper is allowed to communicate with his daughter. Besides, will we ever transformed living in fouth dimension I am not so sure whether or not it was fourth dimension at station cooper. In fact, no one come out after entering black hole. Moreover, if you want to live longer and still look like the same just go for a space travelling, Cooper is 124 years old still look the same like in his late 30. My rating will be 5/5 although it a little bit longer than normal movie. The early part of the movie is kinda boring wait till you watch the middle and last part of the movie. A complete and commendable movie. Cooper is only aged 3X not 124. When he travels in space, the time spent there is normal for him but accelerated on earth. Good special effects and acting but I didn't understand one bit of the plot. It is all Geek to me. Interstellar contains its fair share of heart-in-mouth moments, the previously untapped corners of space providing ample opportunity to mine fresh spectacle. The movie is complex and maddening, filled with concepts over the heads of most mere mortals, yet grounded in barely enough humanity to stimulate our senses. There's no denying that director Christopher Nolan's challenging space odyssey is exquisitely made. He's one of painfully few filmmakers whose every effort fills me with a sense of awe.